From: 'Atlas de toutes Parties connues du Globe Terrestre'. 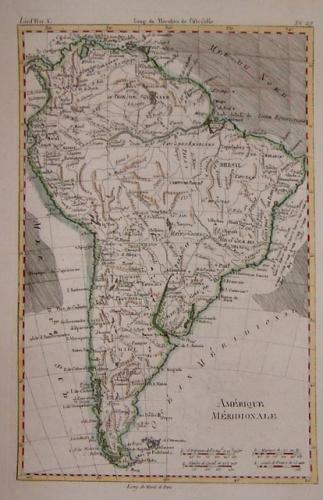 A well engraved map of South America issued to accompany Raynal's Histoire Philosophique et Politique des Etablissements et du Commerce des Europeens dans les Deux Indes. The map is in good condition on strong paper with only some minor foxing around the papers edge well away from the engraved area.